Scenic Maysville, nestled on the banks of the Ohio River in northeastern Kentucky, just one hour southeast of Cincinnati, Ohio, and an hour northeast of Lexington, Kentucky, overflows with opportunities for business, industry, living and visiting. 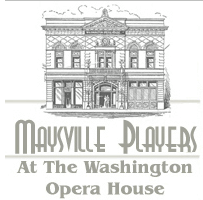 Celebrating a vivid past while embracing the promise and advantages of the 21st Century, Maysville always has been and always will be naturally charming. Maysville is the retail and employment hub of a seven county area — Mason, Bracken, Robertson, Fleming and Lewis counties in Kentucky as well as Brown and Adams counties in Ohio. With a convergence of rail, river, and highway accessibility, and a labor market approaching 200,000, Maysville is an excellent location for business and industry. Maysville is a historic city that looks to the future. Education and training opportunities abound with Mason County Schools, St. Patrick School, Highland Christian School, Nativity Montessori, The Downing Academy of the Arts, and Maysville Community and Technical College. Meadowview Regional Medical Center is the hub of a modern healthcare system which includes numerous independent clinics and specialists in family and ob/gyn services, dentistry, ophthalmology, allergy, renal, and cardiac care. Maysville boasts two historic districts filled with charming homes, shops, and eating establishments as well as numerous museums, galleries, and theaters. National chain stores and eating establishments are also well-represented in Maysville with shopping centers clustered in the U.S. 68 and AA Highway corridors. From historic row houses and charming bungalows to modern subdivisions, golf course estates, and nearby farm communities, housing is available in a wide range of styles and price ranges. Relatively low real estate taxes make home buying even more affordable. Numerous outdoor recreational opportunities are available as well – boating, fishing, and camping at Maysville River Park, picnics, golf and swimming at Maysville-Mason County Recreation Park, hiking at Cummins Nature Preserve and nearby Blue Licks Battlefield State Resort Park. Golf lovers can find a home at Laurel Oaks Golf Course, Kenton Station Golf Course, or Maysville Country Club while Limestone Family YMCA and Mason County Boys and Girls Club offer sport and fitness opportunities for adults and kids alike. Please continue looking around the website. We’re sure you’ll see what we do in our lovely city. With Maysville’s proximity to Cincinnati and Lexington, it is the ideal small city with big city attractions close at hand. Whether a visitor looking for entertainment and relaxation, a business seeking relocation, or a prospective resident, Maysville is the perfect destination.